Organic traffic is a source of traffic that comes from search engines like Google and Bing. Where does organic traffic come from? Organic traffic comes from searches from search engines that leads to your website. 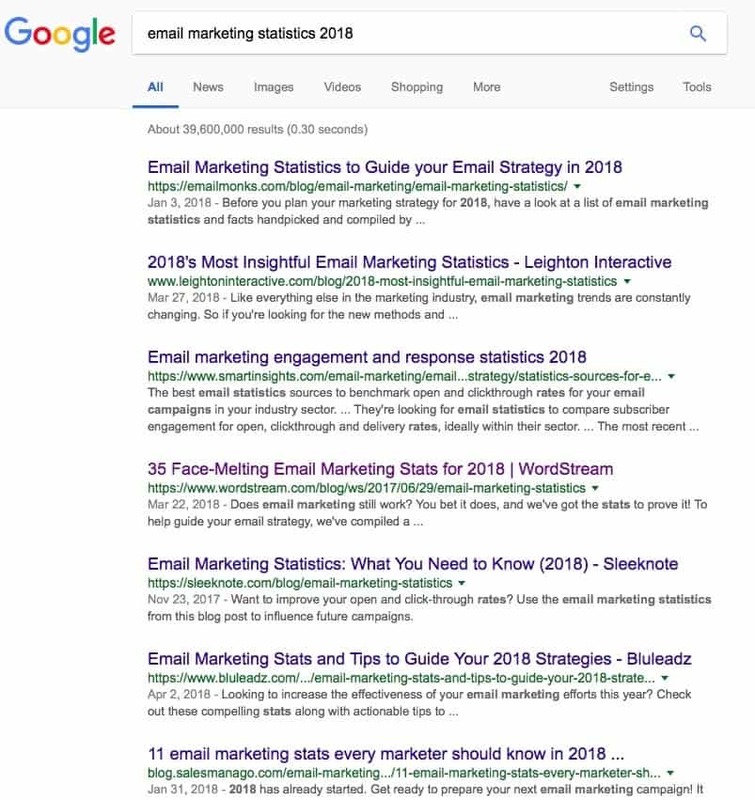 For example, when people type “email marketing statistics 2018” in Google, several results show up. When people click on one of those searches — assuming it’s a post from your website — that’s when your analytics software records that specific traffic as an organic traffic. Why is organic traffic important to digital marketers? There are over 3.5 billion searches on Google per day. And that’s still growing. And in the Philippines, there are over 67 million internet users. Imagine what a tiny slice of that traffic can bring for your organization. Remember that the typical online conversion path starts with traffic. The traffic then become leads, then eventually customers. All things being equal, the higher your website traffic, the more leads you can convert. And with more leads, you have more opportunities to sell to them. In most cases, has both the highest conversion rates and return on investment. Assuming you continue to create quality content and not “game” the system, your organic traffic will just keep growing. These are the reasons why organic traffic is the holy grail of digital marketers. Getting there, however, is another story. It is a mid- to long-term play — at least 6 months before you see some significant results. There is a lot of work involved. The only proven way to increase your organic traffic is to create content.